The paper deals with the problem of environmental pollution and environmental safety and the ways to reduce the negative impact. The basis for estimating the environmental impact is specified. The forms and sources of the impact of the technical object (deironing station of drinking water) on the ecological and social environment are analyzed. The physical and geographical features of the object location are given. The scheme of waste collection, treatment and disposal is considered. The number of waste fluorescent lamps, oil contaminated cloths, packaging paper waste, polyethylene and other solid waste is estimated. The infrastructure of the object under research is considered. The impact of the considered object on the social and ecological environment is assessed. A number of ways to ensure regulatory environment are designed. Keywords: deironing station of drinking water, the impact on the environment, waste. Ermolaeva V.A. 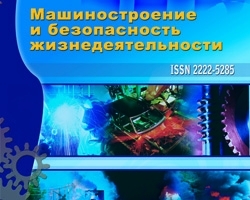 Questions of ecological safety of technological process of preparation of medical weights and ointments // Engineering industry and life safety, 2011, № 2. − P.9-13. Ermolaeva V.A. Possibility of increasing the efficiency of the plant iron removal drinking water // Life Safety, 2011, № 11 (131). − P. 24-30. Assessing the impact of deironing station of drinking water on the environment, Ermolaeva V.A., №2 (16) 2013, Sidorova D.S.